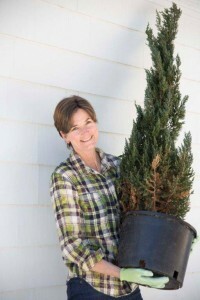 Deborah Trickett, owner of The Captured Garden, is an award-winning container garden designer whose work has been featured in The Boston Globe, Garden Gate magazine, New England Home magazine and on the TV show New England Dream Home. She is a Massachusetts Certified Horticulturist and a frequent lecturer on container gardening at the Boston Flower and Garden Show, as well as the Philadelphia International Flower Show. She also teaches classes and workshops at the Arnold Arboretum in Boston.